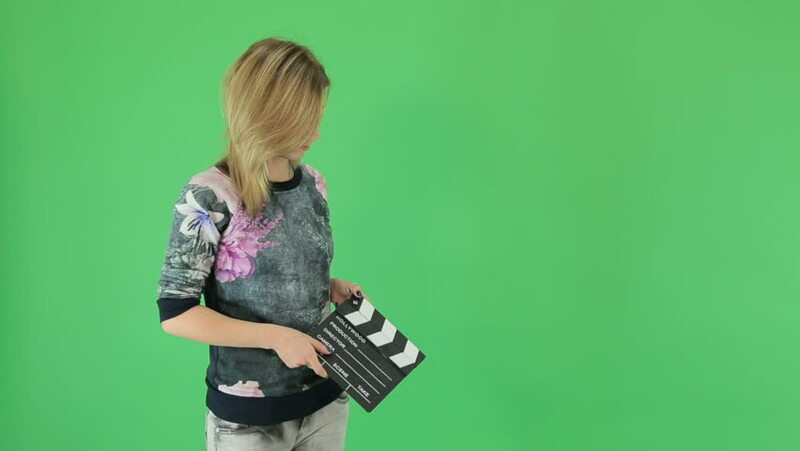 beautiful girl with clapperboard on the green screen. The girl with brown hair dressed in jeans and svitshot with flowers. 4k00:21Young African American girl turns around looking cute and smiling at the camera on green screen. On green screen to be keyed or composited. 4k00:31Little girl walking sideways over a green screen, happy and cheerful, spreading hands and laugh. 4k00:18Woman taking photo on green screen. On green screen to be keyed or composited.